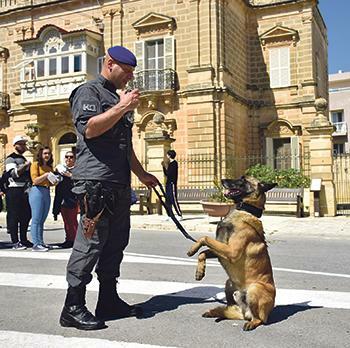 Canine ‘officers’ stole the show during an Open Day at Safi on Sunday during which law enforcement agents and first responders raised money in aid of the Blue Light Foundation. 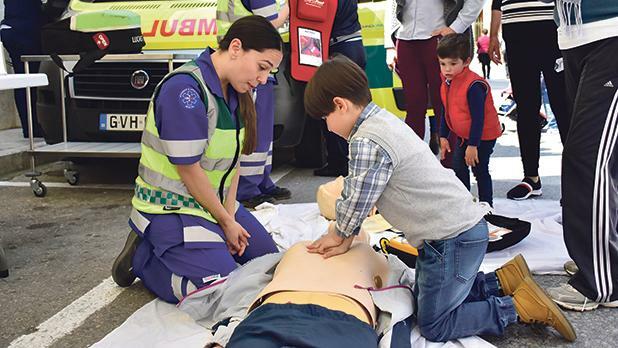 The event, held at the locality’s main square, was opened by mayor Johan Mula and PS Simon Schembri, who gave his name to the foundation that aims to give psychological and financial support to members of disciplined forces. It also strives to raise awareness on the perils such officers face on a regular basis while on duty. The foundation was set up after PS Schembri almost lost his life when he was run over by a teenager who he had just flagged down. At the time, PS Schembri served in the traffic section. Displays by the Customs Department canine unit, the Corradino Correctional Services Division K-9 unit and the Malta Police Dog Section then entertained those present. 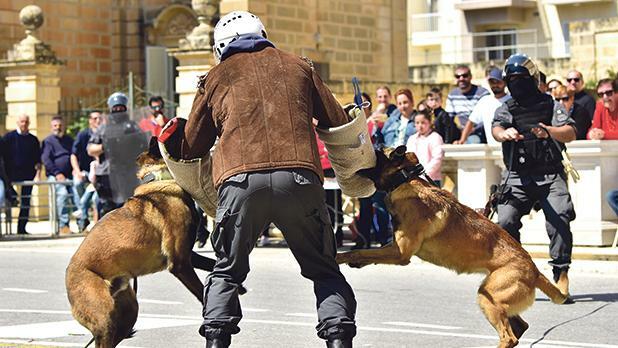 The dog shows were supplemented by other activities that involved the Civil Protection Department’s fire section, ambulance paramedic teams, the police, Transport Malta, the Malta Mini Owners Club and even face painting for the younger visitors.